16 years of tactical sportsgames. 16 years of satisfied customers. "Meanwhile TurfMaster has ripened into a true cult game. The special high-grade equipment of hand painted pewter horses, lots of dice and cards, real tournaments and exclusive add-ons make the game a unique titbit." "Playing for the 20th time TurfMaster is the same fun as for the 1st time." "with cards and dice the players slip into the role of jockeys, and by means of subtle tactics try to succeed in the end. Not an easy venture, for what initially looks plain and simple finally reveals to be a tricky racing game." "Ensure racing fever at home! But watch out: Once you are caught by the racing fever, you hardly get rid of game addiction!" "The game boards are beautiful rendered and the cars are simply the best available in any racing game on the market." 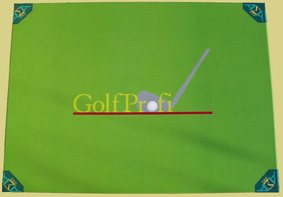 "The designer succeeded to develop a game that simulates the complex kind of golf sport pretty realistically. The games brilliant aspect is the system of clubs. 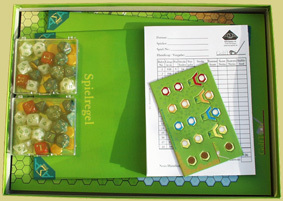 With the help of its mechanisms the game achieves true golf feeling at a plain living room table. And so, if its raining cats and dogs, the question is: Heading for the golf-course outside or rather play a round in the living room?" but invite you to visit us.